Product Managers engage in varied activities in their day to day jobs. PMs may lose sight of their top product goals and OKRs while performing hundreds of activities they are supposed to handle. How should PMs pick and choose among numerous activities and cut down noise to simplify their work? And how those chosen activities and tasks can be performed best for predictable product success. 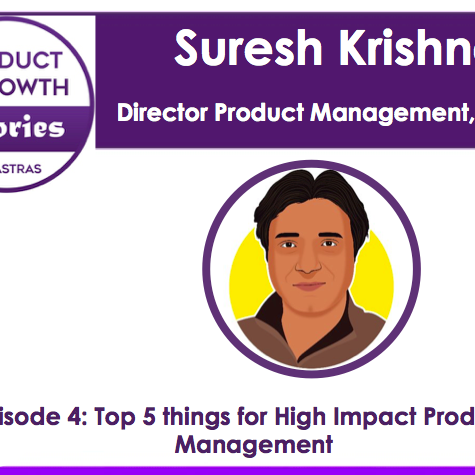 Suresh, Director Product Management at Oracle and Advisor at various start-ups recommends top 5 items, which helps PMs maximize their impact in a Product company in this episode with me.